We are excited to be able to supply compounds from our succinate prodrug family designated exclusively for research use to the scientific community. Oroboros Instruments is the perfect partner to reach thousands of scientists in the field. The agreement with BridgeBio confirms the potential of NeuroVive’s projects and our ability to generate value for our shareholders. We are very pleased and proud to announce our collaboration with TRACK-TBI. TRACK-TBI’s mission to transform the clinical trial landscape in TBI and our collaboration will provide important support to our precision-based patient selection and treatment effect evaluation approach. The collaboration not only grants us access to the world’s top TBI clinicians and researchers, it also validates the quality of our NeuroSTAT development activities in the TBI field and will facilitate our goal to deliver a medicine that protects the brain of TBI patients in the acute stage. Magnus Hansson, M.D., Ph.D, Chief Medical Officer and head of preclinical and clinical development at NeuroVive. We are excited about the collaboration with NeuroVive, and the initiation of this clinical program is a significant step forward in the development of innovative medicines in this area with great medical needs. The NVP015 project has the potential to significantly improve the lives of patients, usually children, suffering from this type of mitochondrial disease. The grant is central for efficiently proceeding the project and a quality label for our program. The NeuroSTAT effects observed in our state-of-the art experimental model for TBI are very promising. Our collaborative approach on preclinical study design will set a completely novel standard in the development of new drugs in the field. Susan Margulies, PhD, Professor in the Department of Bioengineering at the University of Pennsylvania, US, and lead investigator for the preclinical studies. The NeuroVive team is extremely pleased to acquire the rights to the clinical stage candidate drug KL1333 for genetic mitochondrial disorders, an area of high unmet medical need. The project is a perfect fit with our existing project portfolio in mitochondrial disorders. The addition of KL1333 is perfectly in line with our business model focusing on the development of orphan indication project all the way to the market. We look forward to working with Yungjin Pharm on this opportunity, with the aim to bring relief to patients suffering from genetic mitochondrial diseases. We are encouraged by the confirmation of an anti-fibrotic effect of NV556 in a second well validated experimental model. Also, the preventive effect on liver cancer development is a highly appealing observation that adds to the attractiveness of NV556 as a possible treatment candidate for patients with progressing NASH for which there is a high unmet medical need. I am very pleased that Philippe Gallay and Massimo Pinzani have joined our efforts in advancing the research and development of our NASH and HCC treatment opportunities. Their scientific guidance as experts in the field of liver disease mechanisms and clinical management will be most valuable in the continued development of our project pipeline, as well as in the ultimate positioning of our candidate drugs in the future treatment landscape. We are very impressed by the anti-cancer potency that has been revealed in these studies. This new sanglifehrin-based compound class, which we have optimized for anti-cancer activity, offers a very much needed new therapeutic opportunity to combat HCC through a unique mechanism of action. This decision is completely in line with the new corporate strategy and will enable us to further focus on developing the company’s project portfolio by releasing resources to progress the early R&D projects as efficiently and effectively as possible”, said Erik Kinnman, CEO at NeuroVive. We want to thank our colleagues in Taiwan for a good collaborative spirit in the work to date and in this process and wish them all the best in their future activities. We are now adding mitochondrial myopathy to our genetic mitochondrial disease portfolio, which is very exciting. We are also very glad to be able to explore this area together with Håkan Westerblad’s skilled team at Karolinska Institutet and are looking forward to our continued collaboration. We have appreciated the interactions with Arbutus and there are a number of valuable learnings that have come out of the preclinical development activities. As we see several very exciting potential treatments with NVP018 in areas with unmet medical need, the R&D team is currently exploring various options for further development of these opportunities. The material provided by Arbutus will be most useful in these activities. 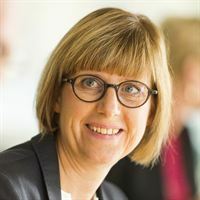 The CiPRICS study has been excellently conducted by the team, led by Associate Professor Bjursten at Skåne University Hospital, with clear results. Moreover, it has verified the effectiveness of the network partnership model for NeuroVive’s early clinical development. We will continue to develop and build our portfolio, and I see several potential upcoming milestone events in our strong and diversified mitochondrial medicine portfolio. I have been involved in NeuroVive in different roles since 2010 and it has been fantastic to be part of the development of the company to the position it holds today. The company has a very interesting project portfolio and a strong organization. The transition to our new CEO is now concluded which makes the timing right for me to seek new challenges. I will of course follow the company’s continued development with greatest interest. Jan Nilsson has with great dedication, in combination with his vast knowledge and experience, played a key role in NeuroVive, not only as COO but also as a Director and for a period as interim CEO. Jan has been instrumental in managing the challenges faced by NeuroVive in recent years. On behalf of the entire company and its shareholders, I express our respect and appreciation for Jan and wish him all the best in his new endeavors. One important event during the quarter was the preferential rights issue, generating approximately SEK 77 million, performed to accelerate NeuroVive’s extensive research and development program. Once again, I would like to thank everyone who participated in the rights issue for the trust and confidence they have shown in the company’s plans and operations. As earlier announced, the preferential rights issue was fully subscribed, which gives us the strength to fully carry out the necessary preparations that are vital to develop the project portfolio and advance forward our pre-clinical projects to clinical trials. We are very happy with how our collaboration with Isomerase has evolved throughout the years. We have together with Isomerase been able to efficiently advance our prioritized research program NVP015 and generate new compounds that currently are evaluated in experimental models. I am very pleased to be able to present these two news items that indicate the strong development phase currently being undertaken by NeuroVive. The first payment from Sihuan shows that our work in China has been successful so far, and that our collaboration partner is delivering on its promises. At the same time, the collaboration agreement with Isomerase Therapeutics around the molecules recently acquired from Biotica marks the beginning of a broadening of our product portfolio. This effort will strengthen NeuroVive´s position in mitochondrial medicine and further our efforts to develop products for a larger number of medical conditions. Lund, Sweden, 28 December 2018 - NeuroVive Pharmaceutical AB (Nasdaq Stockholm: NVP, OTCQX: NEVPF), today announced an increase of the number of shares and votes in NeuroVive of 126,235 as a result of a performed subscription options program (series 2018:1), resolved by the Board of Directors on 15 February 2018.Today, the last trading day of the month, there are in total 91,697,076 shares and votes in NeuroVive Pharmaceutical AB. This information is information that NeuroVive Pharmaceutical AB (publ) is obliged to make public pursuant to the Financial Instruments Trading Act (1991:980).